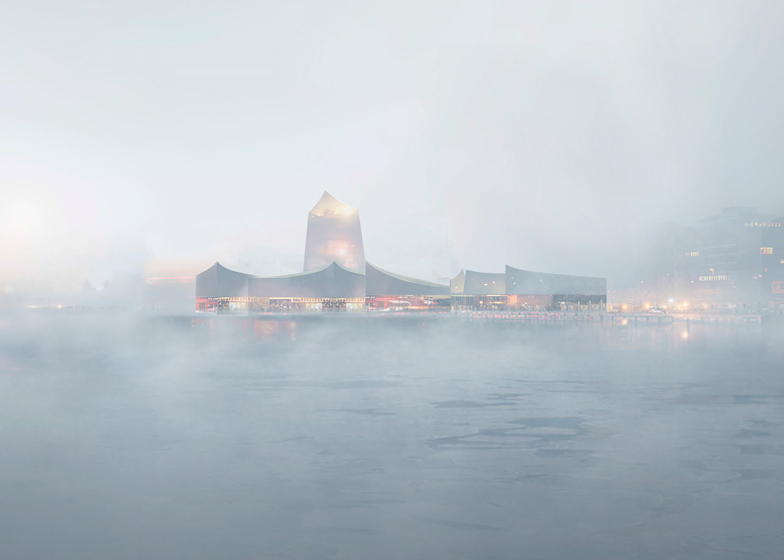 French firm Moreau Kusunoki Architectes has been named as the winner of the Guggenheim Helsinki competition (+ slideshow). Moreau Kusunoki Architectes' winning design was selected from a shortlist of six, which were whittled down from over 1,751 entries in the anonymous international design competition. 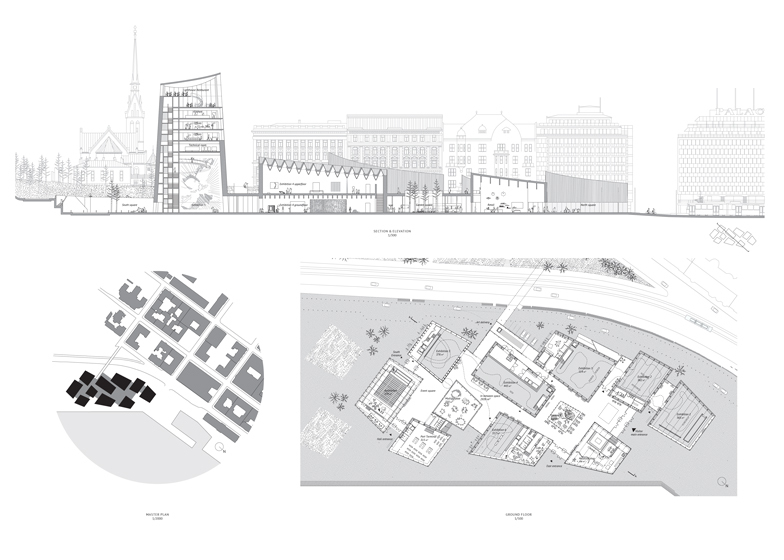 The Parisian studio saw off competition from finalists London studio Asif Khan, Zurich firm AGPS Architecture, Brooklyn practice Fake Industries Architectural Agonism, Haas Cook Zemmrich STUDIO2050 from Stuttgart and Australian studio SMAR Architecture. The competition, regarded as one of the most important of recent years, was organised by the Solomon R. Guggenheim Foundation, which also organised the seminal competition for the Guggenheim Museum Bilbao, won by Frank Gehry in 1991. 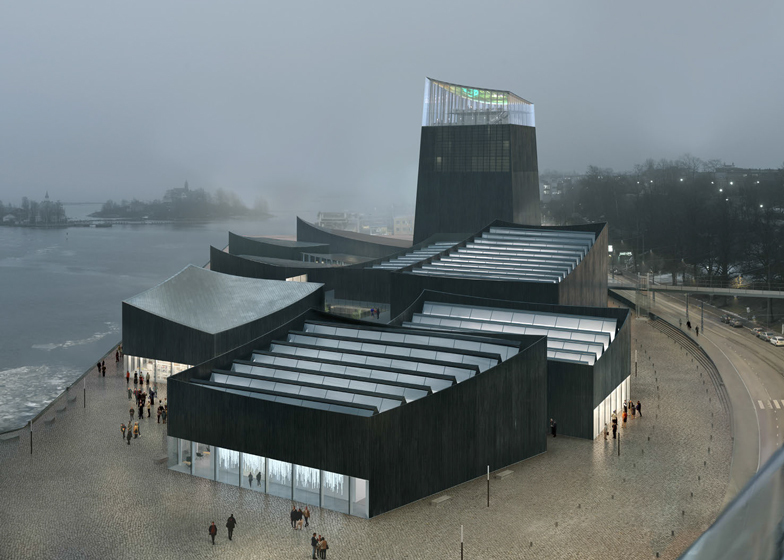 Proposals for the Helsinki museum were entered anonymously and judged by an eleven-member panel including Studio Gang founder Jeanne Gang and Atelier Bow-Wow's Yoshiharu Tsukamoto. Moreau Kusunoki Architectes' design comprises a cluster of darkly clad pavilions with concave roofs that will be linked by a series of garden patios. 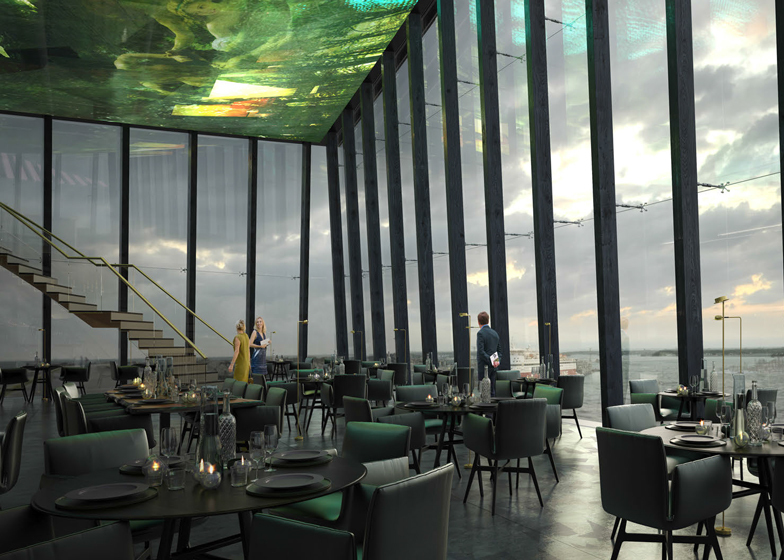 A lookout tower with a glazed top will rise from one side of the site to provide views over the city's waterfront. 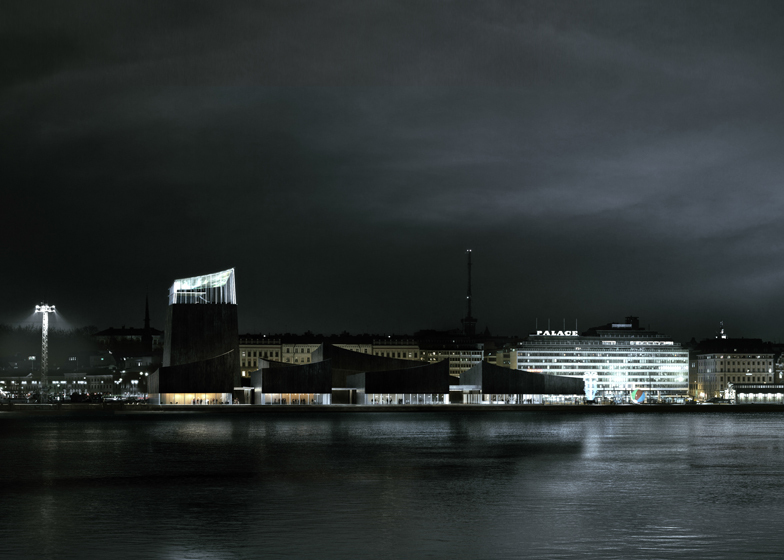 Lights within the tower will illuminate the tip of the structure at night like a lighthouse. "Architecture has to give some emotion, it has to bring poetry into society," said Moreau in a video discussing the project. "We are trying to formalise all the needs of the society." "I can see in this specific contest a real possibility that we can bring a new kind of architecture that could play a new role in the city." 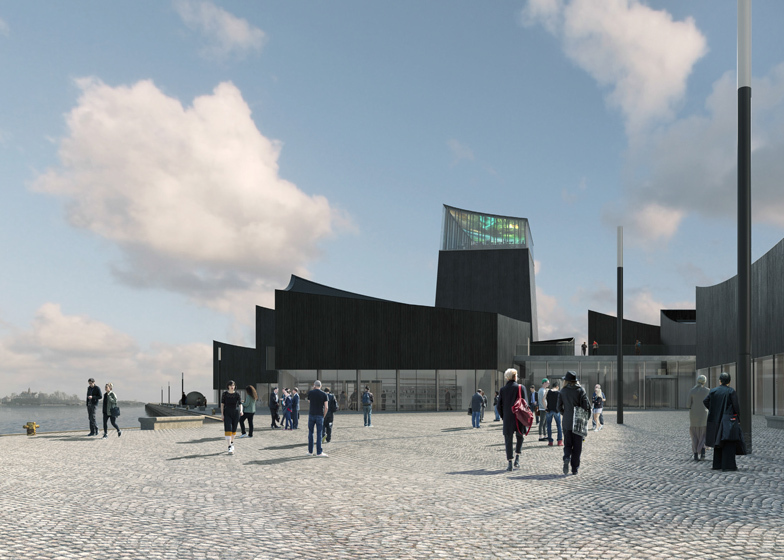 The site proposed for the museum's Helsinki outpost is in the city's South Harbour area, close to the city centre. 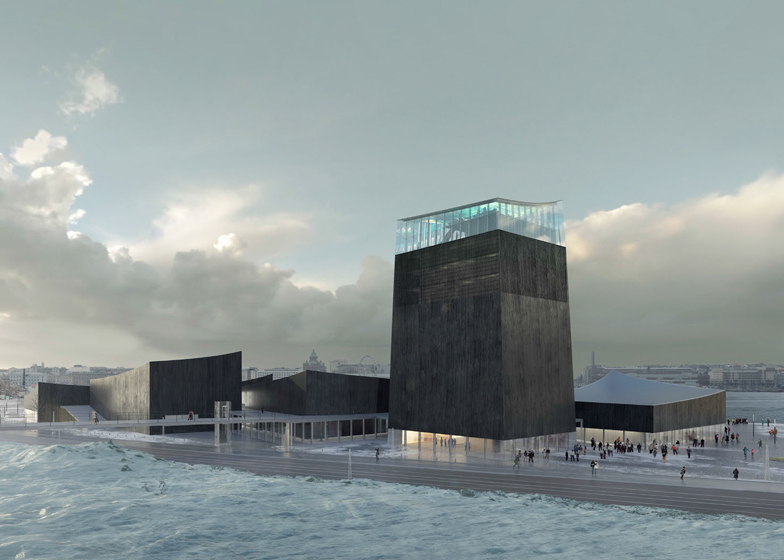 "The scheme proposed a collection of linked pavilions, each orientated to respect the city grid, and anchored by a lookout tower," said the jury of the winning entry. 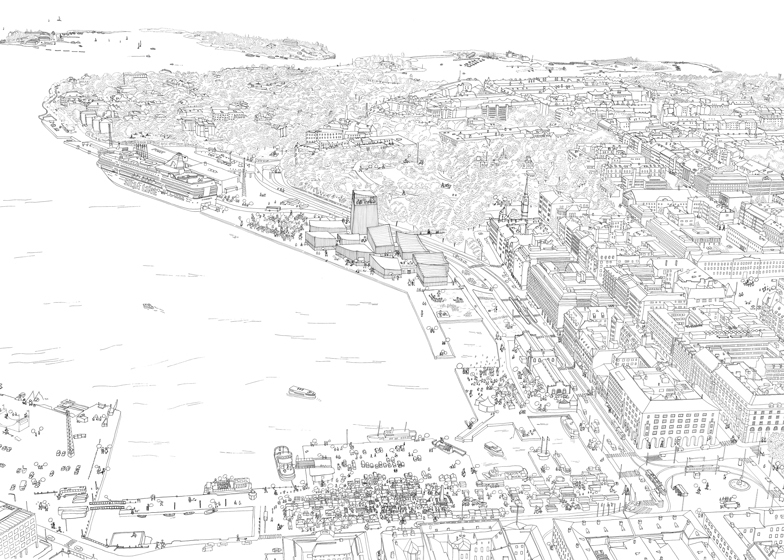 "The building would cohere around a covered street landscape that expanded and contracted according to its interaction with the discrete pavilions and is animated by different activities." "The jury found the design deeply respectful of the site and setting, creating a fragmented, non-hierarchical, horizontal campus of linked pavilions where art and society could meet and inter-mingle," they added. 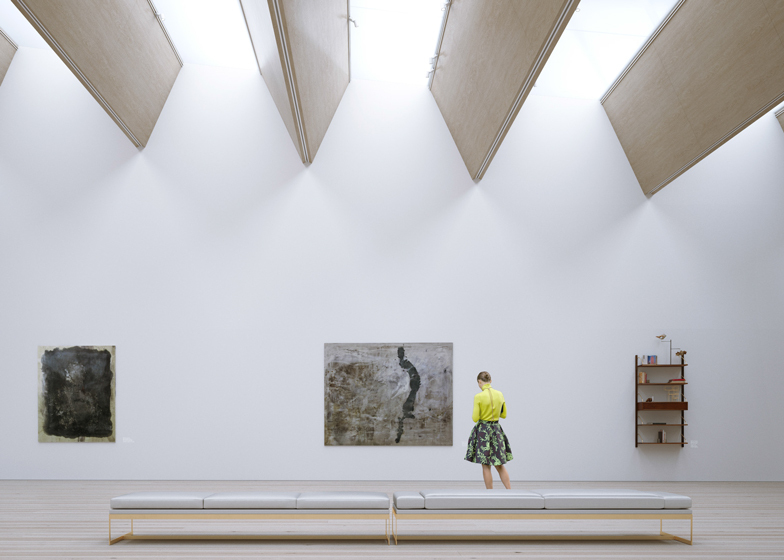 "The connections between the pavilions have been well considered to permit a continuous gallery experience, if required." 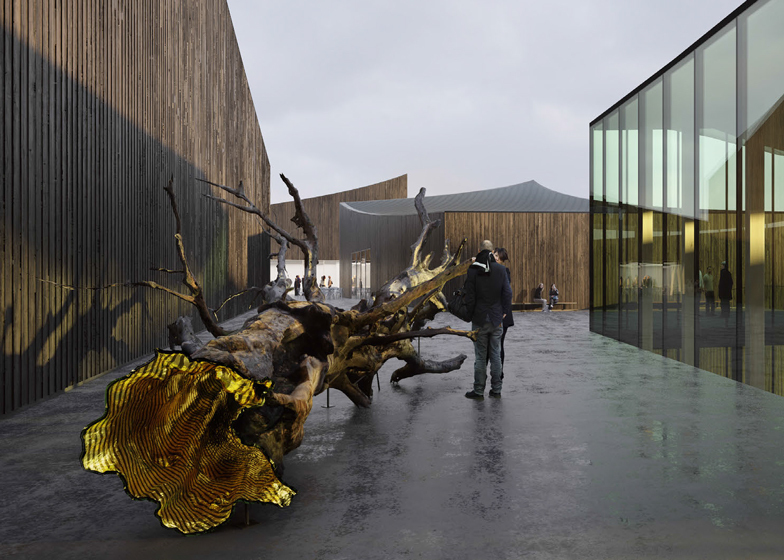 The building is expected to cost €130 million (£82.5 million) to construct, and will have a floor area of around 12,100 square metres, with 4,000 square metres of exhibition space. Moreau Kusunoki Architectes was founded in 2011 by Nicolas Moreau and Hiroko Kusunoki. Prior to setting up studio, Moreau graduated from Ecole Nationale d'Architecture de Belleville in Paris and opened Kengo Kuma's first French office in 2008, while Kununoki received her training at the Shibaura Institute of Technology in Tokyo and started her career at Shigeru Ban Architects. 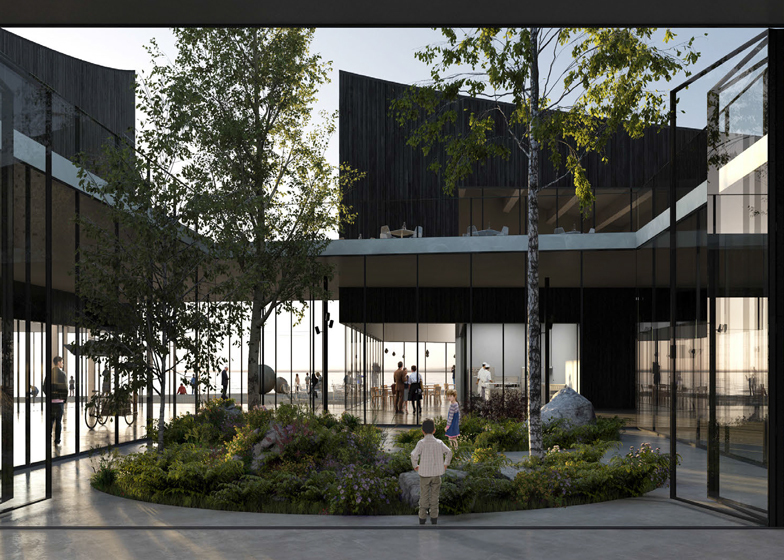 Moreau Kusunoki Architectes is currently developing a plaza for the Renzo Piano-designed Paris District Court, a cultural centre in French Guiana's capital Cayenne, as well as a university campus in Bourget-du-Lac in south east France. Photography is by Bruno Levy and Julien Weill.